If you haven’t noticed the recent uptick lately of cyber hacks, you haven’t been paying attention. We’re sure your managed services provider has noticed; security remains top of mind for these professionals 24/7/365. With the increased emphasis on global ransomware attacks and a corresponding shortage of security experts, the pressure is mounting for managed service providers to stay on top of their game. 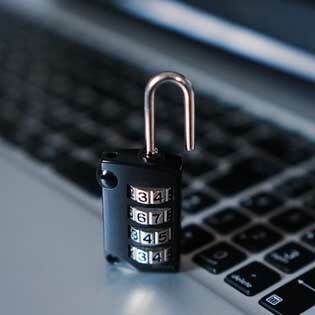 How is the increase in cyber-security threats affecting your MSP? Is your managed service provider staying on top of security trends? Todays managed service providers must stay on top of the increasing complexity of your IT network. This means a widening security infrastructure that must work closely with the public, private, and hybrid clouds, in addition to hardware, software applications, and mobile devices – to name a few. Your managed services provider must maintain these architectures as well as compliance. It’s for these reasons that having an in-house security expert is no longer feasible. You need a team of providers to help manage security threats. Get a free assessment of your current readiness for cyber breach. But managed service providers can also help your agency develop disaster recovery and business continuity plans to help your business recover in the event of any crisis – whether a cyber attack or a natural disaster. Your managed services provider must offer a variety of onsite and remote options for discovering and mitigating threats. To do this, they must adopt cyber security software that helps manage risk. But how will you know if your managed service provider is on top of security? First, your managed service provider must have a track record of safely managing data from internal or external threats. They must have a thoroughly vetted and experienced team in place that has exhibited their expertise as security subject matter experts. Perhaps the most important issue of all is that they must continually learn and react to the latest threats while proactively monitoring your network. Your managed service provider must also offer solutions that protect data from malware and other cyber threats. How are they storing your data and how secure is the pipeline they’re using to move the data? Do you feel prepared for cyber security threats and is mitigating those threats an integral part of your business strategy? Do you understand the cost of recovery from cyber breach as balanced against the investment in an outsourced security service? Do you conduct regular audits of your IT security systems? Have you developed a disaster recovery plan? If the answer to any of these questions is “No,” you should strongly consider partnering with an experienced managed services provider, such as TOSS C3. We can help you mitigate the risk of cyber security threats in your agency. Why take unnecessary risks? Request a quote for managed security services.